HTC has recently released the flagship smartphone from the company for this year and the second smartphone in its U series of smartphones, the U11. The HTC U11 was launched in India in the month of May and the smartphone has been selling on the Indian markets since then. The HTC U11 has been selling quite well in India and the company has been giving regular updates as well with the phone promised to get the Android O update. Now, HTC has sent out a new update to the HTC U11 smartphones around the world. Currently, HTC is rolling out a minor software update to the HTC U11 and the update is received on the unlocked variants of the HTC U11 units in the US. The update is expected to come to the HTC U11 smartphones in the other parts as well. The update arrives as software version 1.11.617.4. As per the changelog, the new firmware update includes important enhancements and bug fixes. It optimizes the performance of the HTC U11 and brings system enhancements. The update solves some bug fixes and the update is coming in at 283MB so the update should be installed via a regular data connection and the update is being rolled out as an OTA update to the handsets in the US. 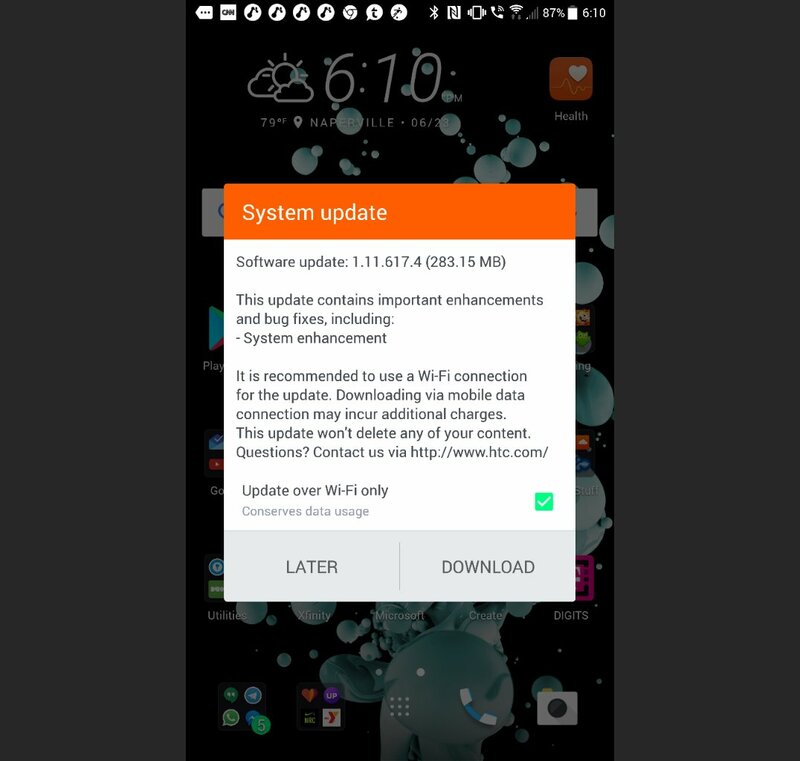 As is the case with all the updates, the update should be downloaded in a good and stable connection and a WiFi connection is always recommended. Also, note that the update is being rolled out as an over-the-air update so the update may have already arrived on your phone. But, if the update has not arrived on your phone, it will arrive on your device very soon. You can always manually check for updates by going to Settings > About device > System update and download the update if it is available.